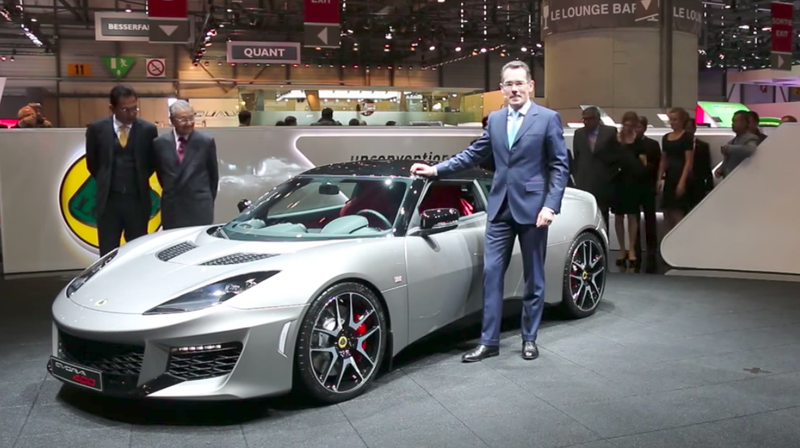 Lotus CEO Jean-Marc Gales got pulled over in one of his company’s sports cars last January for doing 102 mph in a 70 mph zone. But a judge allowed Gales to get by without a single point on his license, because the boss’s lawyer argued that it was “vital” that Gales continue test driving cars himself. The former punishment would be a bit of an issue, as apparently the CEO of the British sports car company had gotten in trouble with the traffic police before, amassed eight points on his license (five of which allegedly came from doing 96 mph on the same road in 2014). An additional three points, The Sun reports, would bring him to over 12, meaning he’d face a six month driving ban. Lucky for Gales, the magistrate agreed to a 30-day driving ban, and no additional points, though she did warn Gale’s lawyer that the Lotus boss should keep his vehicle testing on the test track. Gales also had to pay a £666 fine, and an additional £166 in other charges. But at least in 30 days, he’ll be able to return to hooning the crap out of Lotus sports cars driving responsibly on public roads. A CEO who actually gets out there and drives his company’s cars? That’s just cool.